Philadelphia Event: Wine Week | Geno’s Steaks | Philadelphia, Pa.
Sunday School Wine Tastings: Kickoff Philly Wine Week with Sunday School Wine Tastings at Pinot Boutique with a complimentary mimosa or wine cocktail. Opening Corks: The Academy of Sciences is hosting a kickoff party where 100 wines will be flowing and Philly’s top restaurants will serve delicious pairings. #WineatNine: Show @PhillyWineWeek what you’re drinking at 9 p.m. using the #WineatNine hashtag, and be entered to win some cool prizes! Rosé Monday: See the world through rosé-colored glasses. Jet Wine Bar is featuring five rosés by-the-glass from all over the world. Philly Wine Week Happy Hour: Happy hour just got happier. From 4 to 7 p.m., Pinot Boutique is offering complimentary cheese and chocolate with any wine tasting. Check out the steal-of-a-deal happy hour specials: $3 off glasses of wine, $1 off beers, and $1 off snack items. Corks & Consequences: Bistro bar, eight wines, Di Bruno Brothers cheese, and trivia at Bistro Romano… what more could you ask for?! Wine Tasting: Unusual Grapes of the World: Take a seat in Jet’s lounge for a unique wine tasting hosted by “Wining Archaeologist” Jill Weber. You’ll get to try five obscure wines, served with light snacks. Rainbow-Wine Wednesday: Live life colorfully! Jet Wine Bar will feature wines in the colors of green, orange, rose, and black. Healthy Food and Wine Pairings: Learn how to pair your wine with healthy “grab-and-go” options at Pinot Boutique. Cheesesteaks and Wine? : The classic Philly comfort food goes great with a glass of wine. At Pinot Boutique, learn how to pair wines with your Philly cheesesteaks, including Geno’s Steaks, soft pretzels, Tastykakes, and more! Pop-Up German Wine Bar: Inspired by Rod Stewart and David Bowie, this event at Kensington Quarters will feature a rad soundtrack. Guests will experience different grapes from the coolest wine countries around the world. Philly Against the World! Local vs Non-Local Wine: This is a fun, blind tasting at Pinot Boutique to see how local Philly wines stack up against the competition! Afternoon Delights: Wine & Pastry Tasting: Take Sherry with your scones and drink Beaujolais with your brand muffins at Jet Wine Bar. 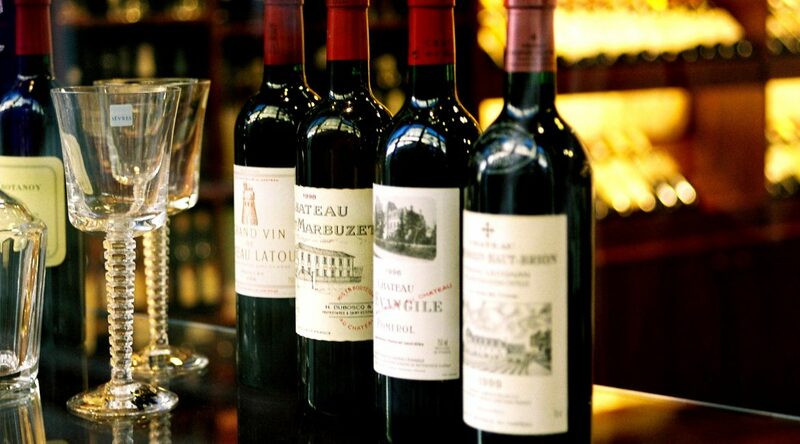 Wine IQ Tasting Challenge: Test your wine knowledge at Pinot Boutique! Sunday School Wine Tastings: Missed the first Sunday School? Here’s your chance to check it out (or revisit) to learn about local wines at Pinot Boutique. You’ll also receive a complimentary mimosa or wine cocktail. These are just a few of the fun events going on during Philly Wine Week. What Philadelphia event are you most looking forward to seeing? If you attend the “Cheesesteaks and Wine?” event, let us know what wine you think pairs the best with Philly cheesesteaks – and be sure to stop in to Geno’s Steaks for your next pairing!